Whether used for baking, carving or decorating, October is certainly a month for pumpkins! They add a festive touch to autumn decor and warmly welcome trick-or-treaters with their glow. 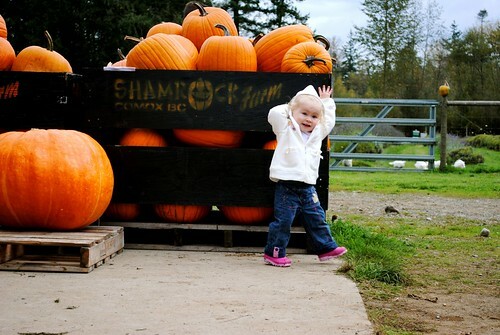 If you’re planning on grabbing some gourds for your front porch or your fireplace mantle, bring the family and make a day of it at one of Vancouver Island’s wonderful pumpkin patches. I’ve put together a quick list of some of the most notable ones. Pumpkin picking on Saturdays and Sundays in October, weather permitting. Pumpkin patch, hay bale maze, organic apples, homemade products. Open daily during the month of October from 10:00 a.m. – 5:00 p.m.
“Pumpkin Month” at Farmer Bill’s is highlighted with a pumpkin carving contest, hay rides and an expansive pumpkin patch. Open daily from 9:00 a.m. until 5:30 p.m., Fridays and Saturdays until 8:00 p.m.
More than just a campground, this picturesque spot is now offering hayrides through a canopy of trees to their pumpkin patch on October 21, 22, 27 and 28th from 11:00 a.m. until 4:00 p.m.
Abby Lane Farm is the place to be for autumn adventure in the Cowichan Valley. 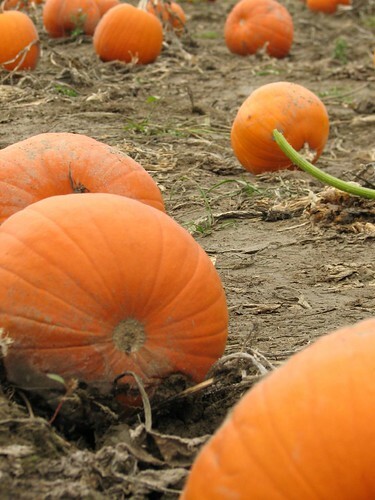 Farm tours, u-pick pumpkin patch, a pumpkin catapult and a picnic area guarantee an afternoon of fun. Celebrate “Pumpkinfest” on weekends in October with free hay rides to the pumpkin patch, a corn maze and spooky Halloween decor. Call ahead! Farm hours are always subject to change and many pumpkin patches open depending on the weather. The rainy season is upon us so dress appropriately. Gum boots and a rain jacket are de rigueur for a pumpkin patch visit. Check with the farm you plan to visit before you bring the family dog along. Many farms have resident animals that don’t always take kindly to unknown pooches. Forget plastic and bring cash to purchase your pumpkins, produce and more. While most farms feature free admission, some will charge per person or per family. 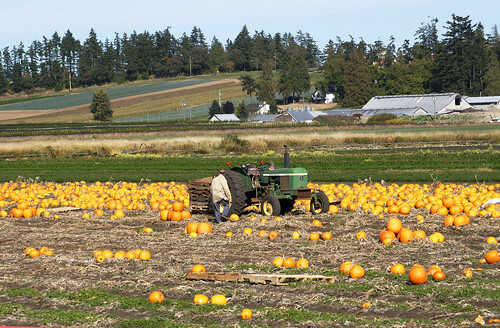 Do you know of another great spot for gathering pumpkins on Vancouver Island? Feel free to leave the information in the comments below or send me an e-mail. You forgot Oldfield Orchard… they have a fall festival that beats Galey when you have really young children.